One of the things I enjoy about skin care blogging is having the opportunity to learn so many different things that otherwise I wouldn’t be able to learn. Let me give you an example. One month ago, while looking for skin care products in a health store I saw a bottle of castor oil on a shelf. The only thing I knew up to then about Castor oil was that it nourishes eye lashes but on the bottle’s label it said that is good for eye wrinkles, too. Ahaa.. now tell me, how many chances there are that a big fan of natural oils like me, reads something like that on a natural oil bottle and not succumbs to the luxury of buying ONE MORE bottle? I am asking you and I am also giving an immediate answer: None! As soon as I opened the bottle, I was positively surprised. Its texture was thick and it looked like no other natural oil I have used before. The next day, I would try it on my face and eyes and I would be truly amazed with its really quick results in softening my forehead wrinkles and fine lines and making my skin incredibly soft as well as deeply moisturized. But apart from this amazingly beneficial discovery, I had to read more about Castor oil so that I could share more information with my readers. So, I started with Wikipedia and I was really amazed (once more) with the information I got but to tell you the truth part of this information was unexpectedly unpleasant. Let me explain. I read, for example, that because of Castor Oil’s laxative properties, it was used as a torturing method by the Spanish Nationalists, led by Francisco Franco, during the Spanish Civil War but was given also to patients in hospitals to damage them because nobody would suspect that a natural oil could be responsible for diarrhea and some other negative side effects. These were some facts that I could never have imagined linking to a simple natural oil. Another thing I learned after searching was that if Castor oil is given to women who are close to giving birth to their baby, it can accelerate the whole procedure. 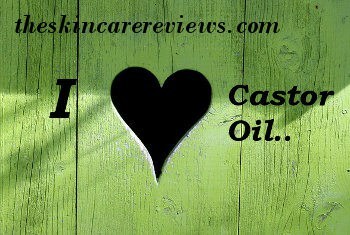 Of course, I found out other facts about Castor oil relating to skin care which I compared with my own experience using organic castor oil on my skin, so when I wrote a review about the best organic castor oils, I was glad to see how many people were thrilled with castor oil’s benefits in their skin care. There were also a lot who are using it as an anti inflammatory with great results. After that, I have recommended it as a natural anti inflammatory alternative to my mother for her neck pain and waiting to see what the results will be. In conclusion, all I want to say is that skin care blogging has been helping me discover a great deal of things mostly for skin care as well as general health sometimes and I am really glad I am using it in this beneficial way. If it offers some help to my readers too, then it can provide an even bigger sense of fulfillment.